Buying a Home Should be FUN! As Paul, Sandy, Betty, Stan, Glenda and a great many others have experienced … for homes as a residence, second home, or for pure investment … we’ve developed a unique ability to make the buying process a joyful adventure! Incidentally, we do NOT charge an additional or separate fee for TNT Home Buyer services. Our compensation comes from the seller’s side of the transaction … essentially, as a buyer, we don’t cost you a dime! By the way, you really need this level of support for purchase of a new home … or a lender-owned/REO property, or a short sale property … or any other situation where the seller is a corporate-level professional. The people on the other side of those tables are “pros” with a dedication to profit. You need a “pro” on your side of the table. A critical fact … the broker/agent you see named in any form of advertisement for a new or re-sale property is, by contract, the representative of the Seller of that property! 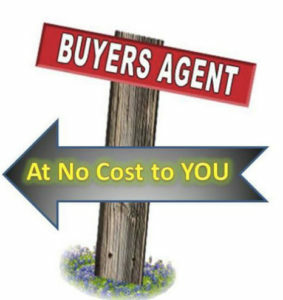 He/she has specific duties to the Seller and is legally limited in the advice that can be provided to you as a Buyer. In fact, for a new home purchase you must sign a disclosure acknowledging that the sales-office agent exclusively represents the builder. We are Full-Service Realtors® … providing the comprehensive services and guidance you need to find, select and secure your best residential property choice. Check out our FREE 13-page booklet How to Buy – Step by Step. We truly believe the metro-Phoenix area is the best place on the planet to live, as well as a great place for investment, which every real estate purchase is. We truly enjoy assisting others with this investment … almost all of whom come to the same conclusions about Arizona as a place to live.